Vinyl Liner pools starting at $ 24,989.00: Packages Include: 400sq ft Concrete Decking, Upgraded Pump & Filter, Large Light, Pool Maintenance Equipment & Much More. Lafayette’s locally owned, All Seasons Pools & Spas has been building Acadiana’s most beautiful backyards since 1995. Creating memories that last a life time. Creating memories that last a life time. Whether you’re looking to provide a spectacular vacation like atmosphere in your backyard or you want to provide a safe, clean environment for your family to enjoy that special time together, All Seasons Pools and Spas will guide you through the process of selecting the right pool to fit your needs. We offer a variety of pools and spas to choose from. Our pool options are literally limitless and our spa selection offers hydrotherapy at an unbelievable price – browse our Pools & Spas page to find out more! All Seasons offers ultimate hydrotherapy at an unbelievable price. Value best describes our hot tubs because we offer the best warranty, equipment, cabinets and insulation a hot tub can have at the most reasonable price. We hand-selected our spa manufacturer which means our customers can rely on quality, dependability service and support. 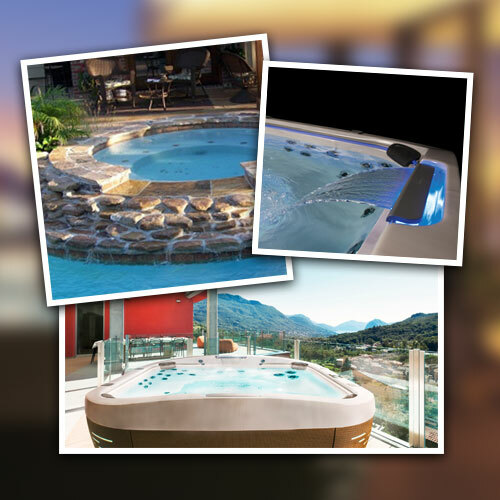 We’re a leading supplier of Jacuzzi Hot Tubs in Lafayette, LA. Come and order yours today. Know the little things to look for that will save you money in the long run. Familiarize yourself with the different chemical systems available and how they work. We can help balance your pool’s chemicals, remove unsightly algae, and ensure that you’re keeping it safe for your family and friends. We make pool ownership easy. Ensure a faster, more efficient loan application process with a streamlined online application. We are the largest above ground pool dealer in Acadiana. Doughboy Pools have been in the Above Ground Manufacturing for over 65 years; Made in America. Jacuzzi® is the name that defines the hot tub experience. Jacuzzi®: Inventor of the Hot Tub has been in business for over 50 years.